Option B: I feel like Valentine’s day is more than just a gift day, for your special person, but also a day to show your love through acts of kindness. For my more creative thinkers, try making breakfast from scratch. Make them their favorite breakfast and incorporate a Valentine’s Day theme into it! Use pink icing on donuts, or food coloring to dye your waffles or pancakes red or pink! Option A: A new fresh look and feel is exactly what women, and even men, want any day of the week. 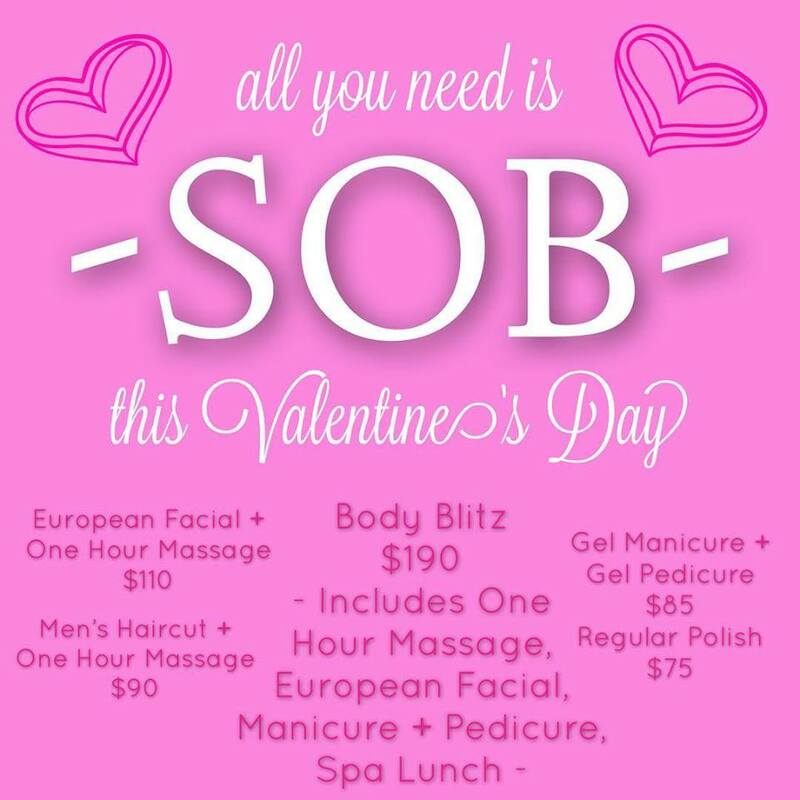 Treat your boo to a well-deserved spa day, in preparation of a magical night in Martin. Not feeling the whole send her by herself idea?? Join her! Most of the time, people just want to spend quality time with their loved one, so go with them and try out the Tranquility for Two spa package, or the Body Blitz special. For a list of more spa options visit Styles at Broadway. Option B: If you don’t want to spend that much money, perhaps go to the local Walmart and purchase some spa products and give your loved one all the luxuries of a spa, without actually having to leave the house. You get to forget about your worries, spend more desired one-on-one time with your significant other, and save money. Option A: Surprise your lady with a lovely and elegant dress that reminds you of why you’re with her, in the first place. They always said jewelry was a girl’s best friend. Complete her outfit with some jewelry that sparkles and captures everyone’s eyes. 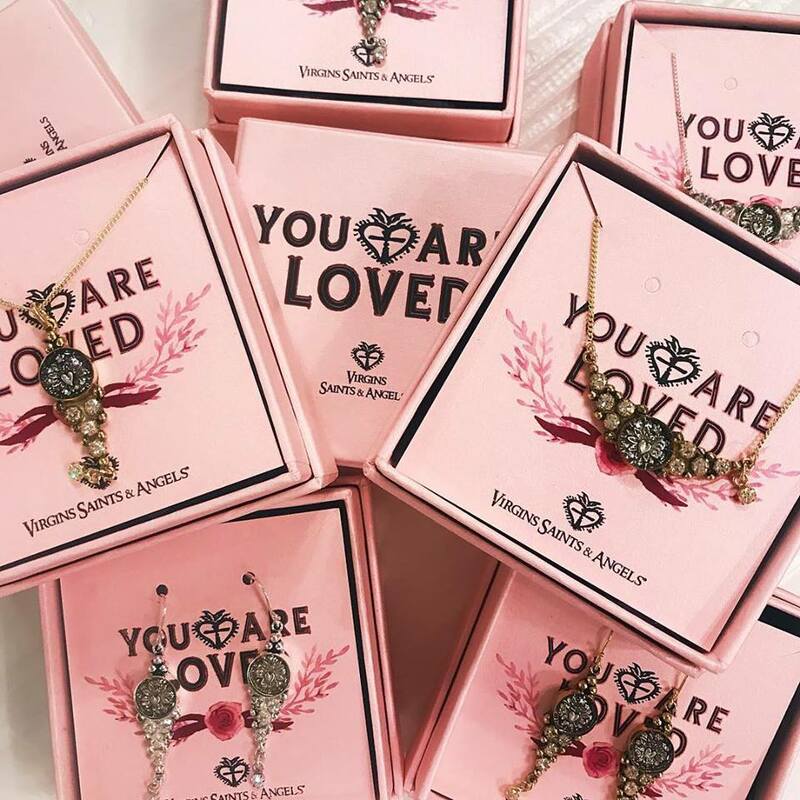 Sugar and Spice offers a variety of different types of jewelry and clothing that would be perfect for what you’re looking for. Option B: More creative options would include getting a photo album and making an album of your love story together. You could also make a gift basket that contains several notions of your love! St. Charles Flowers & Gifts has tons of intimate options, to chose from, so don’t hesitate to get over there and start of creating a memorable gift! Option B: If you’re secretly Emeril, in disguise, do not hesitate to make your special friend a special meal, from the comfort of your own kitchen. Prepare some juicy steaks with red potatoes and veggies! Decorate the house with rose petals and and candles. Don’t be afraid to set the mood! Also, don’t forget dessert! And the typical box of chocolates is a no! Spice it up and try something new and unique! For instance, make them a heart shaped pan of brownies, and write a sweet message on it, or cover it in red, white, and pink sprinkles and icing! Option A: With Valentine’s Day being so close to the weekend this year, why not stay out a little later and catch a movie?? Most date nights consist of a movie anyway, so pop on by Cine 6 Theaters and see the new rom-com, “Isn’t It Romantic”, starring humorist, Rebel Wilson, and Avengers heartthrob, Liam Hemsworth. Option B: Movie theaters might not be every couple’s thing, so try renting your favorite movies, romance genre, if you guys are into love movies. Go home, lay back and relax and binge watch them with your date! If you want to set the mood and make the atmosphere more romantic, try lighting some candles, and laying out some throw blankets, or go for a different approach and build a fort out of blankets and home furniture!. Also scent the room, something vanilla or lavender to help go with the feeling of love you’re trying to set. I would also try to include a snack, homemade of course, Valentine Popcorn Mix or some Valentine’s Cupid Chow! Hopefully these ideas will help you guys create a day that your babies and boos can remember for the rest of their lives! If these ideas still don’t fit your style or you’re just not feeling it, there are links below to lists of stores and restaurants to help you guys create your perfect Valentine’s Day date night in Martin! Top Places to Visit in Weakley County! Time to Take the Kids to the New Pumpkin Patch!